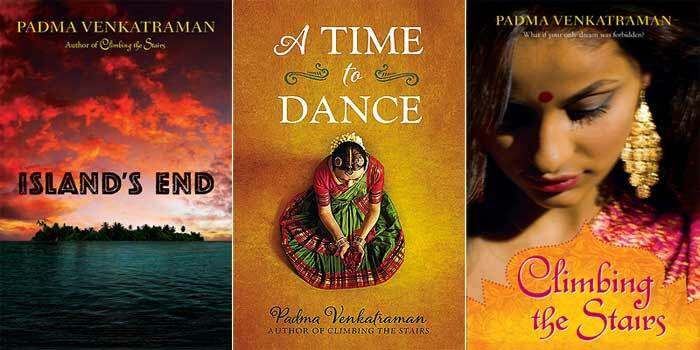 Author Padma Venkatraman‘s most recent novel A Time to Dance was an Honour Winner in the 2015 South Asia Book Award and was chosen for inclusion in IBBY’s 2015 Selection of Outstanding Books for Young People with Disabilities. Indeed, all three of her novels to date have been acclaimed by critics and young adult readers alike, garnering awards and appearing on many Best Book lists across the US. Padma is also the author of two historical non-fiction books about women mathematicians, as well as many other books for young readers written under T. V. Padma, published in both the US and India, including Mathematwist: Number Tales from Around the World and the award-winning folktale retelling The Cleverest Thief. Before taking up writing full time, she worked on projects across the world as a post-doctoral researcher in Environmental Engineering at John Hopkins University, following a PhD in Oceanography. She was born in Chennai, India and now lives with her family in Rhode Island, US. 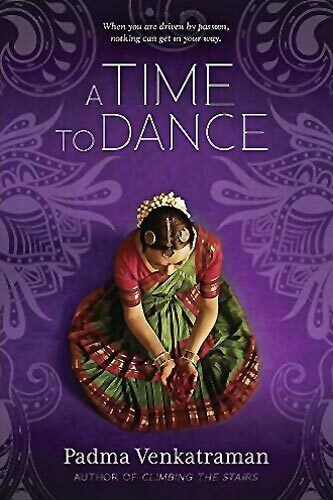 A Time to Dance is a powerful novel in verse about Indian girl Veda, whose dreams of a future as a Bharatanatyam dancer are seemingly shattered by a road accident which results in her losing a foot. It’s a story about resilience and spiritual awakening, as well as a journey towards recovery and finding a new route towards the same dream but with greater potential for deep fulfilment beyond a craving for public glory. The story follows Veda as she learns to walk again with a prosthetic foot. Readers come face to face with both prejudice and compassion; and A Time to Dance taps emotional depths through its spare poetry that allows the intensity of the story to shine through. There were three moments where I was moved to tears; one was near the end, when her new (and potentially more than) friend Govinda gives her the full extract from the Bible’s Book of Ecclesiastes from which the book takes its title. Despite my prior recognition of the allusion, the moment took me by surprise. The words, despite their provenance from a spiritual text from outside their own culture, are so perfectly apt for him to give to her; it is a beautiful, sensitive gesture on Govinda’s part. So it was with interest and not a little sadness that I read Padma’s response to one of my questions here in this interview (see below), in which she talks about teachers’ concerns about presenting the book to students. I would suggest that, in fact, this is a wonderful read on many levels, including Veda’s spiritual awakening, whether readers share her Hindu faith or not. 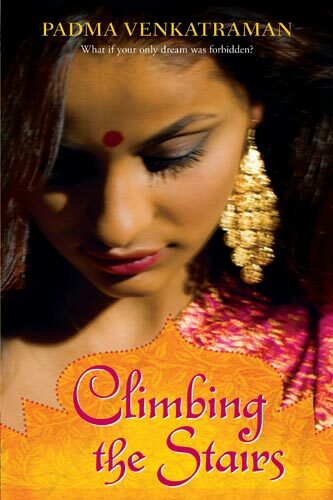 In Padma’s first novel Climbing the Stairs, set in 1940s’ India, heroine Vidya narrates her story of striving for an independent future for herself and her desire to go to College. Her family is uprooted from their liberal way of life that would permit such a future, following her father’s beating during a peaceful protest for Indian Independence, which leaves him severely brain damaged. They are forced to move in with her grandparents’ traditionally run household. The upper storey of the house, including her grandfather’s library, is off-limits to Vidya. The novel focuses on Vidya’s personal struggles, which become entwined with the wider backdrop of both the Indian Independence Movement and the Second World War. It also touches on different and differing social attitudes towards women, marriage and the disabled. These are big themes that enrich the novel, but it is remarkable Vidya and her story that keep the reader turning the pages. Padma’s second novel, Island’s End takes readers to a fictional tribe on one of the Andaman Islands, where Uido follows her dream to train as a Shaman, learning traditional medicine and becoming a vessel for her people’s oral history. This path also means that she is destined to become the spiritual leader of her tribe and Uido faces many challenges that force her to question all she holds dear – not least when her young brother falls dangerously ill. Although it is steeped in a culture that will be new to most of the book’s readers, they will empathise with the agonies she goes through in having to make important choices about her future, and they will find themselves immersed in globally relevant quandaries concerning the environment and the conservation of both our planet and the world’s different cultures. Tell us about your path from oceanography to writing fiction? I couldn’t see myself breaking free and becoming financially independent if I pursued a career in the arts, so I became a scientist instead. But although I like oceanography and mathematics, I love reading and writing, and eventually, I felt secure enough to risk a foray into the field of literature. Luckily, it was successful. Then again, science/mathematics and language aren’t as different as people think. Music is mathematics given voice; language at its best sings. Writing is about word patterns; mathematics (and thus oceanography or any such science) is about number patterns. What authors and/or books have influenced you in your writing? I hate to pick a favourite, and there are so many that I can’t really answer this question properly, but here are a few marvellous novelists who come to mind at this moment: Kazuo Ishugiro, Isaac Bashevis Singer, Amitav Gosh, Carolyn Coman, Laurie Halse Anderson, Isabel Allende. Poets whose work I admire: Rabindranath Tagore (whose work I’ve only read in translation), Keats, Rainer Maria Rilke, Gregory Pardlo, Paul Celan, Richard Blanco. 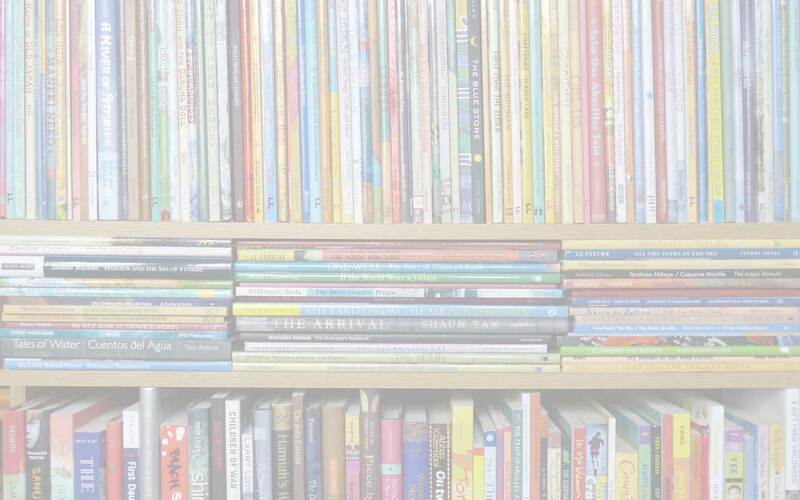 Some books I loved and re-read as a child: The House at Pooh Corner, The Wind in the Willows, The Lord of the Rings, A Child’s Garden of Verses (only the poems that aren’t full of prejudice). 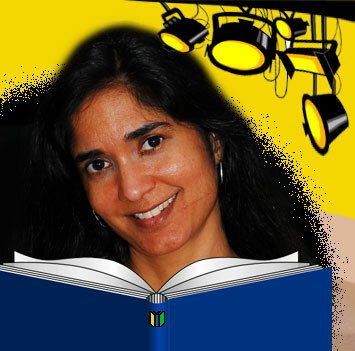 You have had many books for young readers published in India under the name T. V. Padma – was it moving to the US and shifting towards an older audience that prompted you to use your full name? Actually, it was because it feels like those books—everything I wrote before my three novels—were written in a past life. When I wrote them, all of them, I was an oceanographer and writing was my hobby; writing wasn’t my life the way it is now. So I tend to forget about them and don’t really count them as my “real” work – because my focus at that point was oceanography and I couldn’t quite give the books my full attention the way I did with my three novels. When I began to write my novels, I felt utterly consumed by them. It was my novels that made me a writer, I feel – the rest was just dabbling; and yes, they were good enough to be published, translated and get awards, but for me they’re just not the same as my novels. Not even close. 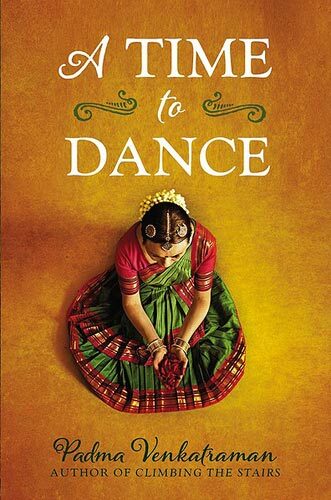 What set you on the path of writing A Time to Dance, the story of a dancer whose future looks bleak when she loses a foot following a road accident? When I was 19, I was bitten by one of the four most poisonous Indian snakes – on a trip back to India. I almost died, and it’s a miracle I survived without having to have my leg amputated (it had turned all the colours of the rainbow and looked rather like something Renoir might have painted). The experience – of nearly losing my leg and my life, of being so close to death – solidified within me a sense of spirituality (that wasn’t bound to any religion). A Time to Dance was born of that experience. A Time to Dance seems to get right to the heart and soul of Bharatanatyam dance, you must be/ have been a dancer yourself? I studied classical Indian music and played the Veena (one of the oldest Indian instruments) every day between the ages of 7 and 14 or so. I had a wonderful teacher, Smt. Savitri Rajan, who, like Veda’s teacher, refused to accept payment – in her case any payment at all – in return for teaching. As for dance, well, I started and stopped and sort of learned some dance from several wonderful teachers, but I was awfully bad at it. My brain loved rhythms and my ear loved music, but they couldn’t quite communicate with my feet. 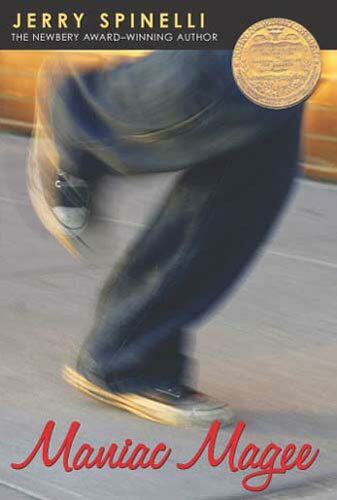 Why did you choose to write A Time to Dance as a verse novel? Was that decision spontaneous or did you start out writing it in prose? When Veda’s character possessed me, I heard verse. But I fought against writing A Time to Dance in verse, because although I love and read poetry, I’ve never studied it. Luckily for me, Richard Blanco (who later read at President Obama’s inauguration) let me sit in on a poetry workshop he was doing at the University of Rhode Island’s Ocean State Summer Writing Conference, and his friendship and faith in my ability helped me overcome my fear of experimenting with this form. Other wonderful poets also encouraged me, as did my marvellous agent, Rob Weisbach and my star editor, Nancy Paulsen. Along the way, another editor whom I deeply trust, Stephen Roxburgh, provided insights that were vital. He’s edited so many books I admire and love, everything from Marilyn Nelson’s Newberry-winning, Carver: A Life In Poems to Roald Dahl’s The B. F. G. His confidence in me felt like permission to try lean, spare prose. Finally, I had an epiphany. Stories that feature a character’s spiritual growth are rare – because sane authors stay away from this. But I’m insane; and this was the core of Veda’s story. As was her love of dance. A character’s spiritual growth is incredibly hard to write in verse. It’s virtually impossible to capture in straight-out prose – or was, for me, for Veda. Spiritual growth and the power of art, especially of dance – two key themes in A Time to Dance – go beautifully with verse. Verse allows for white space. And it’s in that white space that spiritual growth occurs, in poems, and in characters, as I said in a recent blog post. In this story, rather than form affecting content, it was the other way around: Veda’s voice (content) dictated form. It was really a tremendous relief that A A Time to Dance was released to starred reviews in 5 major journals, and that it’s been so glowingly reviewed by so very many other sources. I’m glad not just for my own sake but for the sake of the many people with disabilities whom I interviewed during the process of writing the novel. It’s their story, as much as mine. What research did you do for the book? In addition to reading extensively and interviewing many doctors, nurses, medical professionals, prosthetists, dancers, and, most importantly, people with disabilities, I also “went method” the way an actor might. I used crutches and experimented on myself to simulate phantom sensation. I felt like I had permission to write the book only when a reader, who had the same disability as Veda does, was moved to tears by a draft I’d asked her to read (to check for accuracy) and expressed her amazement that although I do not have that disability, I “knew exactly how phantom pain” felt. Veda is fortunate to receive a prosthetic foot thanks to a research project run through an American university. Not only that, her doctor Jim James is determined that her new foot will work well enough for her to dance again. How does this reflect reality? In India, several people do not have access to modern prosthesis. I was moved by a blog account written by an American young adult, who said that reading A Time to Dance made her aware of how differently disability is perceived in India, and of how many people, even in today’s world, have to make do with prostheses that are not modern. I’ve always also been impressed by American volunteers who travel in droves to other nations to do their best to help. Jim’s character was partly inspired by someone I met. But although I did incorporate Jim, when he appeared, I wanted to make sure his role was small – the last thing I wanted was for him to be Veda’s white saviour. We have far too many of those. The book presents a variety of scenarios in Veda’s interaction with people that evoke a gamut of emotions in the reader – from anger and pain to bitter-sweet tears to laughter – and I think those emotional responses are all the more raw because everything is filtered through Veda’s first-person narrative. What were the challenges in writing about disability? The greatest challenge whenever any writer writes about a character that isn’t entirely like the writer, is to be accurate. I did my best and I took years and years to complete the draft because I wanted to try my hardest to be respectful and true to Veda’s experience of disability in India. Veda also has to confront other people’s responses to her disability – from the unintentionally insensitive to the downright cruel. Was it painful to confront these different forms of prejudice while you were writing? Yes and no. When I lived in England, especially when I was the head of a small school there, I experienced prejudice. In Virginia, when I was doing my doctorate, I saw a noose hung in yard (as a threat; it was, we thought, probably meant for a few of ‘us’ – me, a Mexican American, another Asian American and a white woman who, at the time, was dating a black man). As a girl in India, I lived with sexism and other kinds of prejudice. My biracial daughter was told she was dark and ugly by another 5-year old. Racism is part of my life. Religiocism (yes, I know it’s my word and not a real word) is also something we’ve both experienced in real life. Writing about it isn’t painful. Sometimes it’s quite cathartic. Is there a particular message you want readers to take away with them? No. No message. Never. But I do my very best to make my readers live within someone else’s skin, to think my character’s thoughts, to feel my character’s emotions. I do enjoy books that entertain, but I think the greatest books are not those that entertain; the best books are those that engender empathy. After the reader closes the book – there is no message – there is just that shared experience, and maybe, especially in the case of Island’s End and Climbing the Stairs, a lot of unanswered questions to which there are no right answers. In asking those questions, in pondering and realizing there may be many equally valid answers, the reader is – must be – free. What reactions have you had from young adult readers? I’ve had several lovely letters from young adult readers and old adult readers. Strangely, I’ve had several people who were in a difficult place in their lives write to me about how A Time to Dance was “healing”; WWII veterans (from the British Indian army) wrote to say how happy they were to see their story told in Climbing the Stairs, as did droves of older Indian women; Island’s End seems as much a hit with the boys as with girls – one English Professor showered it with praise, saying I’d invented a new genre with that novel. A Time to Dance received starred reviews in 5 major journals, wonderful reviews in several major newspapers (including the young adult reviewer of Newsday who said she ‘loved’ the book), and won many important awards such as the ALA Notable, ALA BBYA, New York Public Library Book for the Teen Age, IBBY Outstanding, IRA Notable BGS and more. Island’s End and A Time to Dance were also released to multiple starred reviews, won several awards, and brought me brilliant letters from young and old adult readers who were deeply moved. However, some teachers have shared with me their fear of using my work in the classroom, because it’s about compassion, seen through the eyes of someone who isn’t part of the mainstream religion. That’s really heart-breaking, because my protagonists never ever try to convert anyone. I’m not religious; C.S. Lewis does his best to covertly convert kids, and yet no one worries about recommending his books. Several excellent books (by writers such as Cynthia Rylant and Katherine Paterson) are infused with mentions of religion, and are never questioned; it’s a tragedy to see my protagonists’ multicultural backgrounds are sometimes used against them. Veda’s growth arc is from Eros (learning to love her changed body) through Charis (giving to others as a teacher) to Agapé (love of the other), but it is about dimensionlessness, limitlessness, and compassion – her art, her character, her thoughts, ideas, emotions, feelings are not bounded by any particular religion. Diversity is, unfortunately, often actually feared, although technically and theoretically valued. Unfortunately, we also think teens like fast-paced stuff that isn’t necessarily well written. We like to stuff them with books about spirits (the ghostly kind) and we’re scared to recommend books on spirituality. That’s a tragedy. We need to support authors who write literary novels for young people. Compassion seems to me to be a strong theme running through all three of your novels to date – I felt, in A Time to Dance for example, that (perhaps ironically), in order to move on, Veda needs to learn compassion for herself before she can let the people who love her back into her life. Would you agree? The protagonists of A Time to Dance, Climbing the Stairs and Island’s End do all deal with compassion – compassion for herself and for those she teaches, in Veda’s case; forgiveness of what Vidya thinks is her fault in Climbing the Stairs; a leader’s compassion for her tribe and a leader’s compassionate ability to see the different sides of an argument in Uido’s case in Island’s End. And, through characters, when a reader’s compassion is awakened, a miracle takes place. I touched on A Time to Dance being written in the first person and, in fact, Island’s End and Climbing the Stairs are also first-person narratives. What is it about this perspective that appeals to you? First person narratives aren’t easy to write. There are limitations to this perspective, as well as advantages. It’s not so much that this perspective appeals to me as that it was right for these particular stories, because that’s how my protagonists spoke to me. I don’t think I’ll always use that point of view, though. In fact, I know I won’t. Your first novel Climbing the Stairs is set in India during the Ghandian non-violent struggle for freedom from the British Empire and against the wider backdrop of the Second World War. As well as political issues, it touches on many social issues – the caste system, arranged marriages, education for women. If it weren’t for the heroine Vidya’s brave and determined hold on her dreams, the book would drop over into tragedy. What was your vision, in terms of confronting all these big subjects within the intimacy of a single family? Climbing the Stairs is as close to being autobiographical as anything I’ve written. It draws on my family history. Vidya’s story is based on my mother’s teenage years, although Vidya’s character is very much her own; her personality is more like mine. Your description of how Vidya’s father was beaten literally senseless during a peaceful demonstration is appalling; and the event has life-changing consequences for the whole family. You present a range of responses to Appa’s disability, which invite readers to question their own attitudes. What journey did you make alongside your characters, in relation to Appa? I hope my description is evocative, not appalling! [Ed.- Yes, apologies for the badly-constructed question!] Anyway, yes, there was an appalling amount of violence inflicted on nonviolent protestors at that time, and it shocked and touched me as I did background research for the book. When I get deep into writing a book, I not only hear my characters, I see the movie in my head, and I write what I see. As for responses to disability, even when I was young, I was stunned by some of the reactions I saw. That certainly made its way into Climbing the Stairs. My journey through life has been incredibly interesting so far and every instance of prejudice I encounter provides, if nothing else, lots of creative fodder. In your second novel, Island’s End, you highlight contemporary tensions between globalisation/modernity and the traditional culture and indeed the very lives of the Andamanese Islanders. You emphasise in your Author’s Note that the book is a work of fiction – how did you balance fiction and reality in your writing? 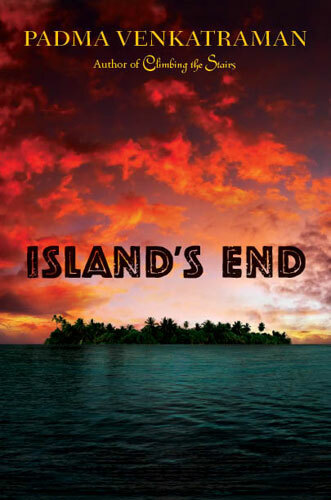 Island’s End is not about the Great Andamanese (a tribe) or about all the islanders – there were several tribes and they were quite, quite different from one another. I never tried to accurately portray a particular tribe, which would be pretty near impossible anyway. Instead, I created a fictional tribe, on a fictional island, but one that reflected reality in a respectful and deeply researched way. In all cases, I let the story rule. Uido, in my head, spoke of a fire. Authors claimed some tribes didn’t have fires and some did. Well, Uido’s did. I’m schizophrenic in more ways than one. I hear voices in my head, and listen to them, and write what they tell me… and I also have several projects I’m working on most of the time…so every day, I write about whoever inspires me or should I say visits me …Right now, I’m working on a novel for adults (old adults), one young adult novel, a middle-grade novel and a picture book. With your blessings, I hope I’ll live long enough to finish all of them, properly! May you be blessed indeed, Padma, and we look forward to reading them all and more! Just a few more questions in the MWD Spotlight before you go! 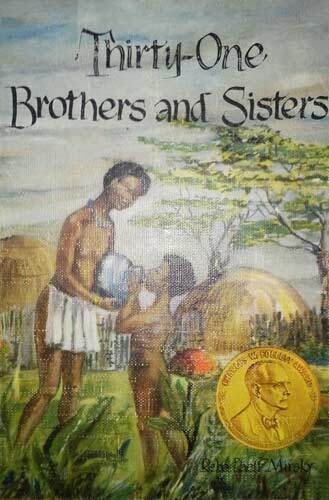 The first book you remember reading as a mirror of you and/or your cultural background? As a child – none. Zero. I was given books like The Secret Garden, which, despite its strengths (and I’ll admit some parts of it are lovely), is about a horrid little child who throws a magnificent tantrum when someone thinks she has brown skin. I’m horrified it’s still considered a classic. It’s not that lovely that we need to promote it, and have children emulate its racist protagonist and decide that India is an epidemic-ridden country populated by godless savages. The only book that was maybe a sliver of a broken mirror: Reba Paeff Mirsky’s Thirty-One Brothers and Sisters. It has a sensible, sensitive dark-skinned heroine who’s itching to break away from imposed societal traditions, but who’s nevertheless happy being a girl. Reading preference – paper or e-book? The last book you read that opened the window onto a new-to-you cultural landscape? 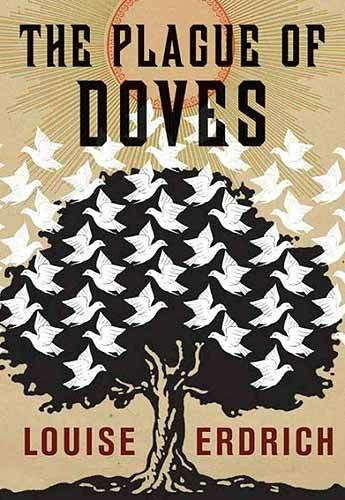 The Plague of Doves by Louise Erdrich. If you could ‘match-make’ any authors and/or illustrators to collaborate together on a book, who would you choose? Please may I be totally ego-centric? Me and Brian Selznick for one of my current projects. I know, that seems odd – but my books are quite different from one another, and I’m working on a fantastic fantasy that may take a decade to complete, and I’d like to share my unattainable desire to have it illustrated by Brian! On holiday, lie on a beach or hike up a mountain (you may include any conditions necessary to your choice!)? Hike up a warm, not-too-tall, not-too-steep, grassy-not-rocky mountain on a calm, sunny day, with my family and a picnic basket. Gone are my oh-I-want-to-climb-rocky-cold-mist-veiled-Welsh-mountainside days of reckless youth! Initial ideas – notebook or computer? Remember how I waxed on and on about blank space? Space. No lines. No limits. Most personally precious object on or within 1 metre of your desk? My computer. How boring. I know. Sorry. Something you have done or want to do because of reading a book? Running. If only I could run half as well, a quarter as fast, a tenth as long, as Jeffery Lionel Magee, hero of the brilliant author Jerry Spinelli’s brilliant book, Maniac Magee. Something about yourself that might surprise even your friends? I don’t allow anyone to enter my writing room. For years I wrote in a tiny space near where we left our shoes. Now I finally have my own room and it irritates me when anyone – anyone (family and dear friends included) – even asks to come in. It’s my sacred space. A peep at what today’s work entails? A Child’s Garden of Verses, A Time to Dance, Amitav Gosh, Brian Selznick, Carolyn Coman, Carver: A Life In Poems, Children's and YA books about disability, Climbing the Stairs, Cynthia Rylant, Gregory Pardlo, Isaac Bashevis Singer, Isabel Allende, Island's End, Jerry Spinelli, Katherine Paterson, Kazuo Ishugiro, Keats, Laurie Halse Anderson, Louise Erdrich, Maniac Magee, Marilyn Nelson, Mathematwist, MWD interview, Nancy Paulsen, Padma Venkatraman, Paul Celan, Rabindranath Tagore, Rainer Maria Rilke, Reba Paeff Mirsky, Richard Blanco, Roald Dahl, Rob Weisbach, Smt. Savitri Rajan, South Asia Book Award, Stephen Roxburgh, T.V.Padma, The B. F. G., The Cleverest Thief, The House at Pooh Corner, The Lord of the Rings, The Plague of Doves, The Secret Garden, The Wind in the Willows, Thirty-One Brothers and Sisters, YA books. Bookmark. What a wonderful interview with Padma. I reviewed A TIME TO DANCE last year and longed to read more of her work. She has a gift with words and storytelling. Her work is so compelling and beautiful. I longed to know more about Padma as a writer and have been able to do so through this interview. I have some catching up with her first two books and will look forward to many new books from this stand-out author. You are in for a treat, Patricia! And I agree with you, there’s something very special about Padma’s way with words. I love the way you describe A Time tio Dance as a ‘treasure on yuor bookshelf’ – and I’m posting the link to your review so others can see it too. Thank you, Jodi. I loved exploring Padma’s work in depth and I would love to hear her speak one day, too. Visit Padma's website and blog, Padma's Books. Find Padma on Twitter and Facebook. Download Lesson Plans, Discussion Guides and PowerPoint presentations for A Time to Dance, Island's End and Climbing the Stairs. All content on this site is © Marjorie Coughlan and Mirrors Windows Doors, 2014. Excerpts may be quoted provided they link back (online) or give clear reference (in print) to Mirrors Windows Doors, with appropriate and specific direction to the original content. Unauthorized use and/or duplication of this material without express and written permission from Marjorie Coughlan is strictly prohibited.